"This award, endowed by the Great Class of 1939 is presented annually to one distinguished member of the faculty whose outstanding contributions for a five-year period have been judged by her/his peers to represent the highest achievement of service to the student body, university and community, state or nation. The recipient also becomes an honorary member of the class and provided a monetary award equal to the value of $5,000 in 1989 dollars - approximately $10,000 today. Recipients are recognized at one of the December graduation ceremonies and in a January ceremony at the ’39 Bell Tower in the Carillon Gardens. The Great Class of 1939 established the Award for Excellence in 1989 to commemorate the fiftieth anniversary of the class. The Great Class of 1939, itself characterized by remarkable service to Clemson University, the community, the state, and the nation, created this award to recognize and hopefully inspire faculty service above and beyond expectations. A call for nominations is sent from the Faculty Senate Office to all faculty early in the fall semester. For full details and a nomination form, refer to the Class of ’39 Award guidelines. The Faculty Senate President, in consultation with the Senate Advisory Committee appoints a Review Committee of five voting members to include two of the most recent winners, with the newest winner serving as chair. The Provost serves as an ex-officio, non-voting member. Prof. Terry M. Tritt is an Alumni Distinguished Professor of Physics at Clemson University. This is one of 18 such positions supported by the Clemson University Alumni Association and awarded to faculty who exemplify the highest qualities of service to the university and the students while also exhibiting international standing in their field of research. 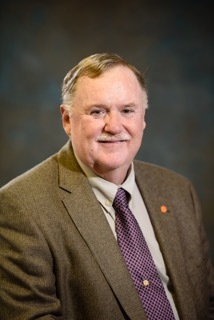 Prof. Tritt is a graduate of Clemson University obtaining his BA in 1980 and Ph.D. in 1985. He then served as a National Research Council Fellow at the Naval Research Laboratory (NRL) in Washington, DC (1985-1989) and then as a Research Physicist at NRL from 1989 until 1996 before joining the faculty at Clemson University in Aug. of 1996. The focus of his current research centers on materials for thermoelectric (TE) refrigeration and power generation applications. His primary research expertise lies in electrical and thermal transport properties and phenomena (a special focus in measurement and characterization techniques) in new and novel materials, especially thermal conductivity. His recent activities are focused on the synthesis and characterization of TE nanomaterials and nanocomposites & investigation and characterization of their TE material’s parameters, especially thermal conductivity. Prof. Tritt has served as a symposium organizer of four Materials Research Society Symposia on Thermoelectrics Materials (MRS Volumes 478, 545, 626 and 1044). He has served as an author and lead editor of a MRS Bulletin Theme (March 2006) on Thermoelectric Materials and Devices. He edited a three-volume set on “Recent Trends in Thermoelectric Materials Research” (Academic Press-2000) and has also edited a book by Kluwer Press in 2005 on Thermal Conductivity. He has served several terms as a member of the Executive Board of the International Thermoelectrics Society (ITS) (1999-2008 and 2010 to present) and served as chairman and host of the 24th ITC-2005 at Clemson in June of 2005. He holds four patents. He was elected as an Academy Fellow and Vice President of the International Thermoelectrics Academy. 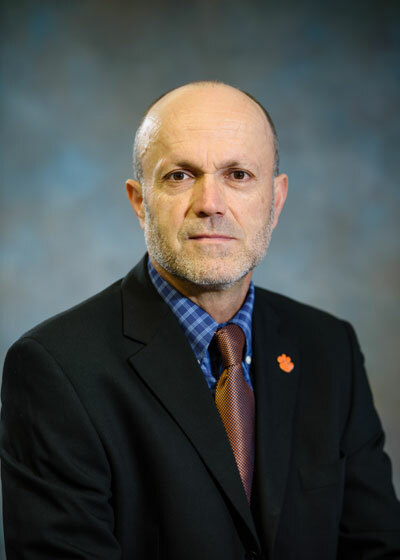 In 2008 he was selected as the SCAS Governor’s Research Professor of the Year and the Clemson University Alumni Award For Outstanding Achievement In Research. In Spring 2009 he served as one of four Materials Research Society’s Meeting Chairs for the annual MRS Spring Meeting in San Francisco that hosted over 5000 scientists from all over the world. He recently served as a guest editor for a Focused Issue of the Journal of Materials Research on Advances in Thermoelectric Materials (August, 2011 and Sept. 2015). He is now a Principal Editor for the Journal of Materials Research. In 2012, he was elected a Fellow of the American Physical Society. He has written over 200 refereed journal publications, over ten review articles and regularly gives invited presentations (> 150) at national and international meetings as well as many university seminars. His hobbies include: golf, bluegrass guitar and mandolin (he has cut 5 CDs), target shooting, hunting and fishing, along with enjoying thoroughly his five granddaughters and new grandson. Antonis Katsiyannis, EdD, an Alumni Distinguished Professor in Special Education, is teaching courses in assessment and legal and policy issues. He has published 180 articles in legal and policy issues and delinquency in professional journals, such as Behavioral Disorders, Exceptional Children, Remedial and Special Education, Fordham Urban Law Review, and the Journal of Special Education. He serves as an associated editor for Remedial and Special Education and Intervention in School and Clinic and just completed a five-year term as the co-editor of the Journal of Disability Policy Studies. Dr. Katsiyannis has mentored numerous graduate and undergraduate students in publishing in professional journals and serves as a co-investigator of a federally funded grant –Project EXPERTISE ($1,097,670). Dr. Katsiyannis also is actively involved in the field of special education by serving in national/international boards, including as the president of the Council for Exceptional Children. At Clemson, he is actively involved in a variety of department, college, and university committees, including Faculty Senate President as well as community-based activities for children with developmental disabilities such as TOPSoccer and Challenger League (baseball). Other award winners include: June J. Pilcher (2015), Catherine Mobley (2014), John Ballato (2013), Windsor Westbrook Sherrill (2012), Richard Figliola (2011), Melanie M. Cooper (2010), Webb M. Smathers (2009), William (Bill) Pennington (2008), Alma Bennet (2007), Donald M. McKale (2006), Ben Sill (2005), Art Young (2004), Kinly Sturkie (2003), A.P (Hap) Wheeler (2002), Jerry Waldvogel (2001), Chip Egan (2000), Judy Melton (1999), Larry Bauer (1998), Chalmers Butler (1997), Larry LaForge (1996), Fran McGuire (1995), Cecil Huey (1994), Budd Bodine (1993), Ray Turner (1992), John Idol (1991), Joel Brawley (1990), and Dixie Goswami (1989).